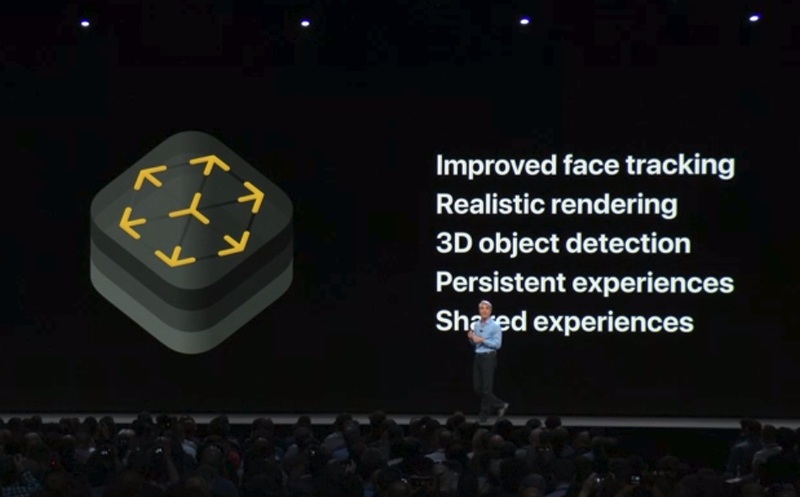 Apple announced the next version of iOS at its WWDC developer conference. While iOS 12 won’t be available before the fall, it’s always interesting to get a sneak peek at the next version of iOS. Apple’s senior vice president of Software Engineering Craig Federighi first talked about some numbers. 81 percent of iOS users are currently running iOS 11. 6 percent of Android users are currently on the last version. “For iOS 12, we’re doubling down on performance,” Federighi said. iOS 12 is going to be available on all devices that currently support iOS 11. It’s interesting the Federighi talked about iOS 12 on the iPhone 6 Plus. Apps launch 40 percent faster, the keyboard comes up 50 percent faster and opening the camera is 70 percent faster. You get the idea, the big new feature of iOS 12 is performance and optimization. But it doesn’t mean that Apple didn’t think about new features. 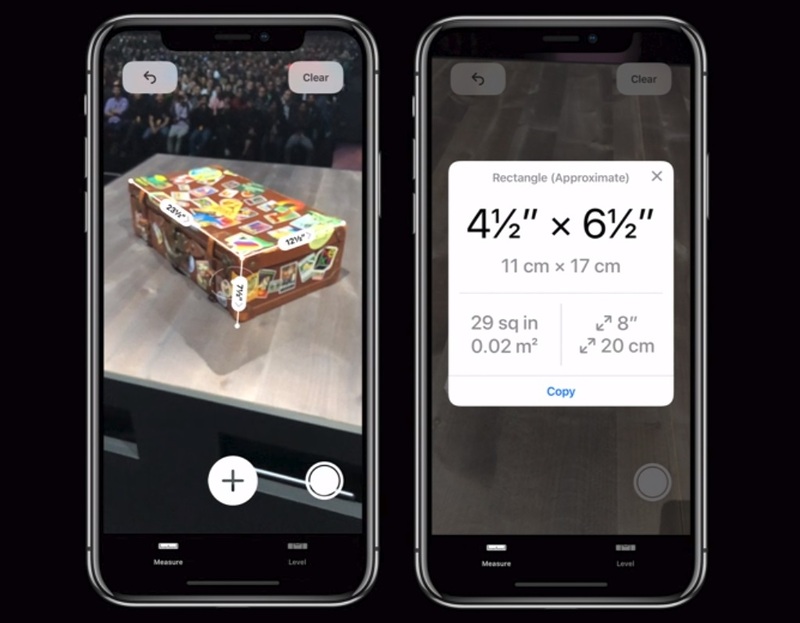 Apple has created a new file format for augmented reality called USDZ. Adobe CTO Abhay Parasnis talked for a couple of minutes to announce that Adobe apps are going to support USDZ. Apple is launching a new app to educate people about augmented reality. This app is called Measure and works pretty much like popular third-party app MeasureKit. While Apple says USDZ is a file format for augmented reality, Federighi also showed a USDZ 3D file in the middle of an Apple News article. And the company is also updating ARKit with multiplayer augmented reality. You can get the same augmented reality experience with multiple devices. The company invited Martin Sanders from Lego to talk about ARKit. You can point an iPad at a Lego set to add virtual buildings and objects, and recreate a tiny little city. “Over a trillion photos are captured on the iPhone each year,” Federighi said. Apple is updating search with iOS 12. While you’ve been able tp search for objects or categories, such as cars, dogs, beach and hiking, it’s been hard to find. Apple is going to add suggestions to improve discovery. Apple is reusing an Apple Music idea and adding a “For You” tab. It’ll show you old albums, memories, photos with people you care about and more. For You can also suggest you to share photos with friends and family members. When you share them, it looks like it creates a link that you can send in iMessage. The other person will also get a suggestion to share photos back. It’s like shared albums, but a bit refined. As for Siri, Apple is introducing shortcuts. It’s not just for voice, Apple is also adding shortcuts on the lock screen or in the search screen for instance. If you’re running late for a meeting, you’ll get a suggestion to send a text to the other person. Shortcuts on the lock screen are like app suggestions, but with more specific actions. 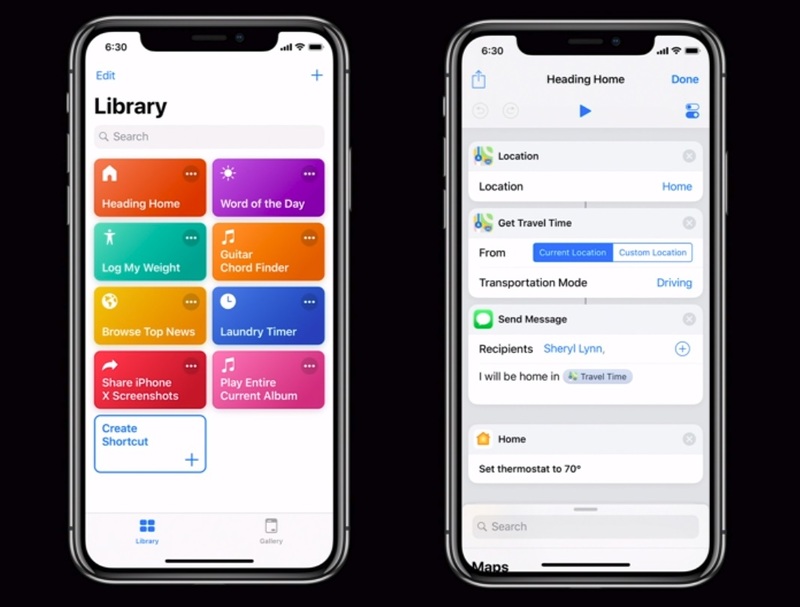 Apple will open up shortcuts to third-party developers to store information or set up shortcuts. Developers will be able to put an “Add to Siri” button in their apps. For instance, you can store your flight details under the “flight to Portland” shortcut. So if you ask Siri that phrase, you’ll get your flight details. The Workflow team has been working on the Shortcuts app. It’s just like the automation app Workflow that Apple acquired a couple of years ago. But you can also configure connected devices using Shortcuts, and trigger shortcuts using the HomePod. So there you go, Apple is back in the voice assistant game with this new ecosystem of shortcuts. Apple is also redesigning Apple News and the Stocks app. There’s a new sidebar in the News app to improve navigation. You’ll also get a sort of Yahoo Finance in the Stocks app with share prices, headlines, after-hour pricing. The Stocks app is coming to the iPad too. As for iBooks, rumors were right. Apple is adding audio books to iBooks (and removing them from the Music app). And the company is also rebranding iBooks to Apple Books. Finally, Apple is adding support for third-party navigation apps in CarPlay. 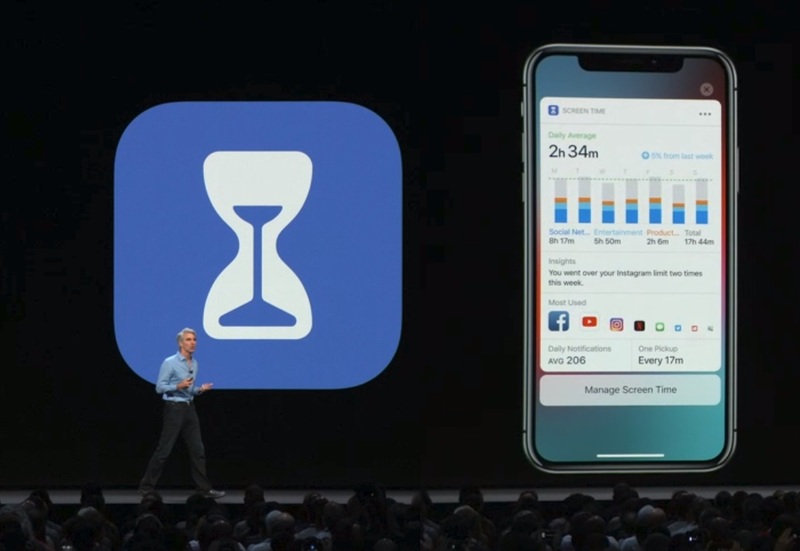 After this quick rundown of Apple’s new apps, Federighi presented the other pillar of iOS 12 — smarter notifications, do not disturb improvements. If you turn on Do Not Disturb at night, you won’t get a wall of notifications if you want to check the time in the middle of the night. You can also set Do Not Disturb until you move to another place. And developers cheered like crazy when Federighi presented grouped notifications. It’s a good way to stack similar notifications from the same app. You’ll be able to configure your notifications directly from the home screen. Many accused Apple of not paying attention to the addictive aspect of smartphones. With Screen Time, your phone can give you an overview of things you do with your phone so that you waste less time mindlessly scrolling through feeds. You can also set up a time limit to receive a notification when you’ve been on Instagram for a while for instance. Obviously, Screen Tim means better parental controls. You can limit some apps, track your kid’s usage and more. But let’s talk about the most important feature of iOS — animojis. Apple is adding new characters — a ghost, a koala, a tiger, a T-rex. Your phone will now track your tongue. More importantly, you’ll be able to create your own Memoji. Apple is basically copying Snap’s Bitmoji (or the Xbox avatars or Nintendo’s Miis…). You can create your own avatar, add accessories and change clothes. In Messages, there are new camera effects that work a bit like Instagram’s or Messenger’s filters, blending your Memoji on top of your face. Switching gear a bit, Apple is overhauling FaceTime. 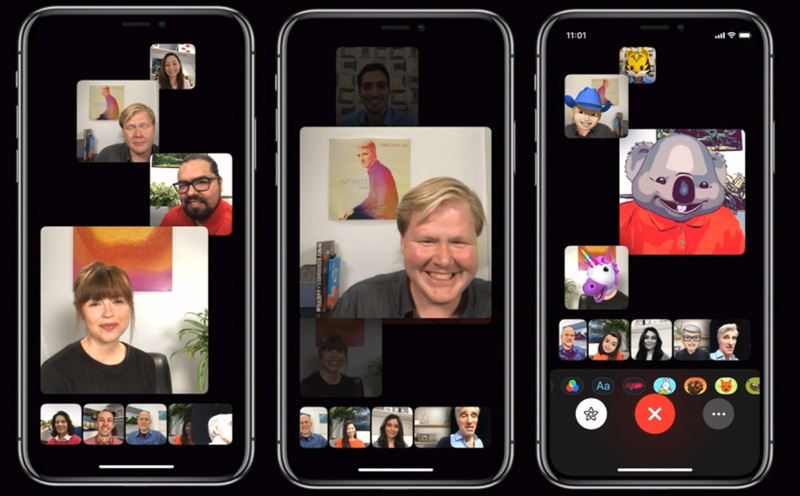 You can now create a FaceTime group with 32 people. You can now switch from an iMessage conversation to a video chat without having to open another app. This is long overdue, and Houseparty is not going to be happy. It’ll also work on macOS and on the Apple Watch for the audio part.